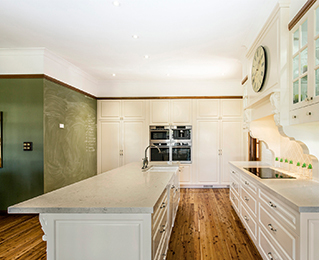 As Brisbane continues to evolve, more and more homeowners are looking to revive their kitchens with a refurbishment. We have discussed the modern and the traditional kitchen styles. In our final instalment of this three-part series on trends in Brisbane’s kitchens, we enter the world of the colonial kitchen. There is a sense of comfort in nostalgia. The older variety of house might evoke memories of one’s childhood, of trips to the grandparents with mom and dad. Your colonial kitchen fits this bill perfectly. In some ways, the adornment qualities are similar to that of the traditional kitchen, but this is where the similarities end. The narrow, tall windows cast lengthy beams of unadulterated light in to this space, which is heavy on the exposed brick-and-beams of the house. 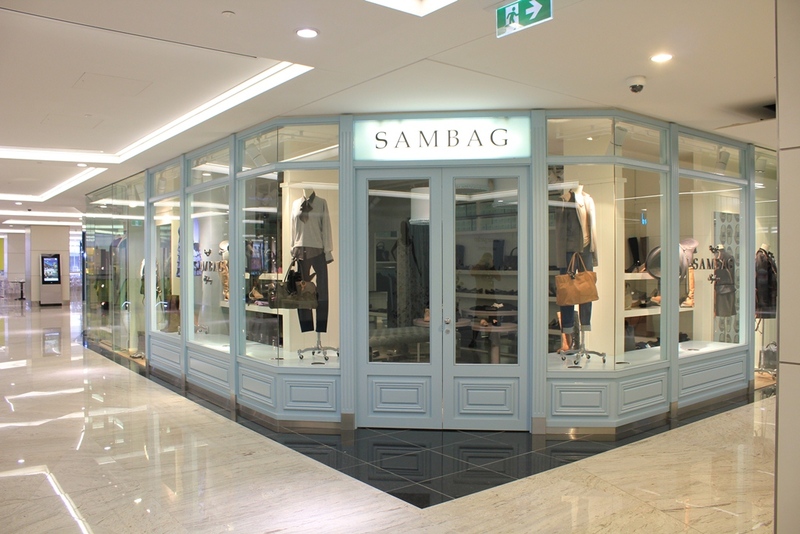 Iron holders support decorative plates above the counters. There is a sense of stepping back in time. The floors are hardwood, laid out with the grain accentuating the depth of the room. They are complimented by wooden countertops, with deeply-sat kitchen sinks. The cabinetry doors are simple, yet elegant, matching the utilitarian look of the appliances and the wooden chairs, while exposed shelving offers a hint of convenience over aesthetics. This style is one that Konstructis places a great deal of pride upon. But then, we take a great deal of pride in all our work. 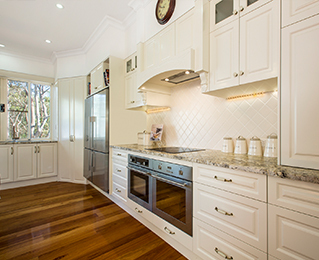 If you’re ready to revolutionise your kitchen, we are your Brisbane kitchen authorities. In this second instalment of this series on the prevalent types of kitchens being in demand in Australia, we discuss one of Konstructis’ bread and butter building projects. The tradition Australian kitchen is a place of joy for many Australians, as the airy atmosphere and sunlight pervading the room speak to pleasurable memories from years past. The traditional kitchen is a much more adorned version of the modern style. The lighting comes from high windows, and a mixture of overhead chandelier-type fixtures cast a warm glow on the rich, textured surfacing. The cabinetry avoids the flatness of the modern kitchen, preferring instead to pop out with raised bead lining and shaker doors. Appliances in this kitchen are much more independent of their surroundings. In the days of old, a particular brand of refrigerator or dishwasher was a sight to behold, a status symbol, and deserved to be the center of attention. This elegant separation from the remainder of the fixtures is an element of the traditional kitchen that has not been lost upon us in our quest to perfect Brisbane’s kitchens. As a spot that will no doubt host a wide variety of guests through the life of your tenancy at your house, a solid and beautiful traditional kitchen will continue to impress guests for years to come. Kitchens stand out. They are a gathering point, a hub of activity, and they provide a level of class and ambiance to any house that simply cannot be garnered from any other room in the house. 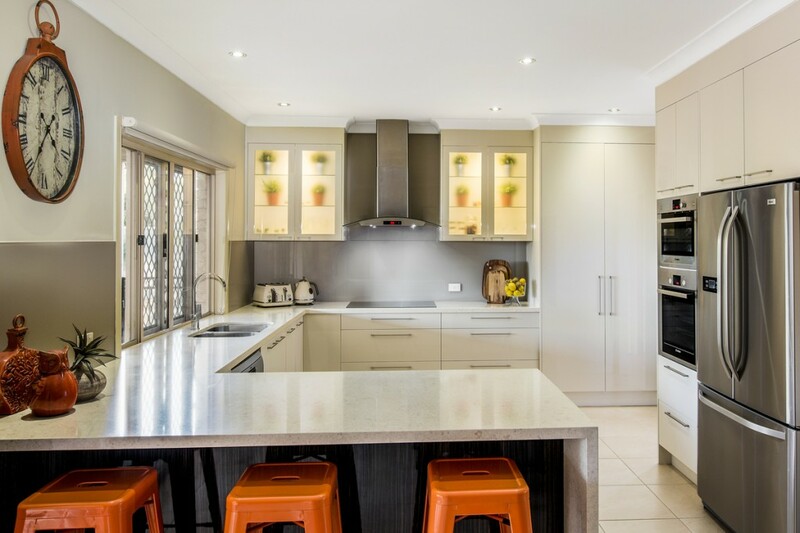 To that end, Konstruct Interior Solutions focuses on providing the finest kitchens in Brisbane, across a wide variety of styles, set by the customer and our own suggestions as to how best to match the motif of the house. That is where the decision-making process becomes a vital one. In this series, we discuss three different kitchens popular in Brisbane and Australia as a whole: modern, traditional, and colonial. Brisbane’s modern kitchen market has its roots in the scene that emerged from Europe and urban America in the 90s. It takes cues from the smaller dimension kitchens available in those areas, and places an emphasis on economy of space. Stand up cabinetry, flat presentations, fold-out storage areas, and small, efficient appliances are the norm here. However, there are a number of stylistic elements that come to play as well. Good backlighting emanating from the hideaway cabinetry has become preferable, with a lighting that reflects well from brushed aluminium appliances. Hideaway appliances, integrated in to the wall cabinetry, lend the room a streamlined appearance with horizontal lines dominating. Stainless stovetop hoods have become a distinctive perk in this motif, their no-nonsense style contributing to a general lack of ornamentation. Options abound, and these are general indicators, but this modern kitchen styling is gaining in popularity in Brisbane’s kitchen scene and elsewhere in Australia. 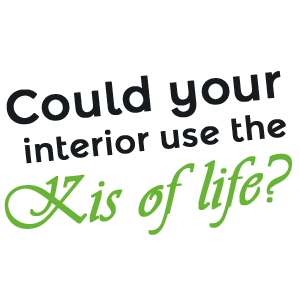 If you’re interesting in pursuing this stylish new entrant, Konstruct can help you. Next week, we’ll discuss the old standard ‘traditional’ Australian kitchen.